Very bright color with almost no knots. 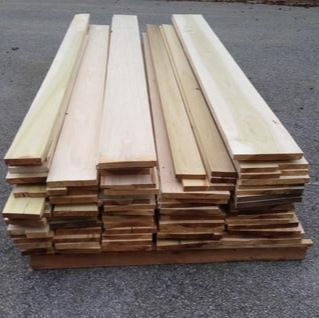 Poplar is a very stable wood so is a great wood for making drawer frames or doors where only minimal wood movement is desired. Poplar is also unusually bug resistant; many of the very old log cabins in this area that are still standing were made form poplar logs. Many people have seen the poplar from the box stores where it is a dull brown color, in fact, poplar is very pretty with hues of greens, yellows, and soft browns. 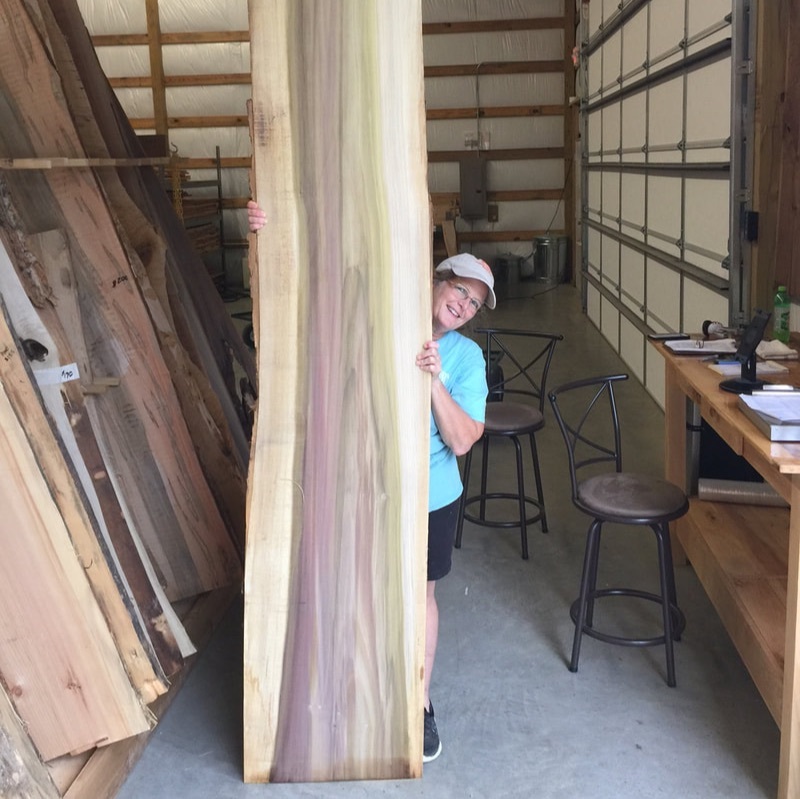 The term “Rainbow Poplar” does not refer to a separate wood species, but rather, is a designation of that has been mineral stained. The resulting mineral stained wood—which, although not necessarily common, is by no means rare or scarce—exhibits a variety of colors ranging from green, purple, black, red and others.